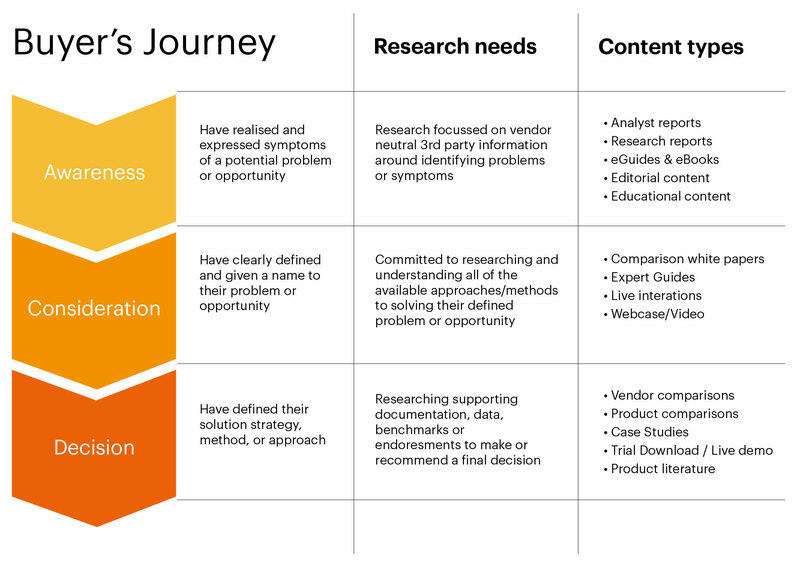 The buyer’s journey is the process a buyer goes through, when researching a purchase. Used as the centre point for your inbound content strategy, this journey allows you to understand where and when you can reach strangers to turn them into visitors and what type of content you can attract them with for them to become leads and customers. 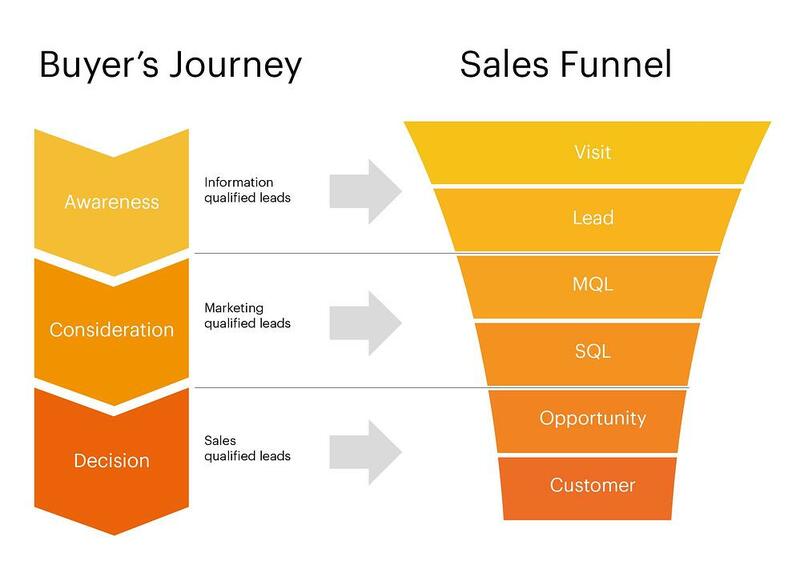 The sales funnel focuses on the actual purchasing experience. It’s a powerful way to track the progress of customers at different selling stages, How a customer behaves along this whole experience is what we’re trying to determine by bringing the buyer’s journey and the sales funnel together.